Well, who have we here? 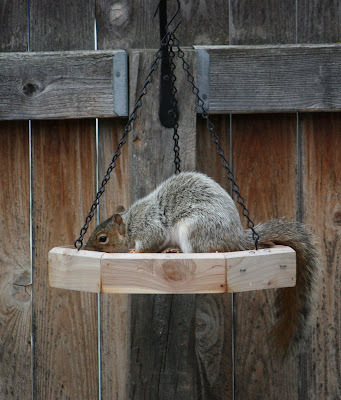 This is not one of the regular squirrel customers at this bird feeder. This is an eastern gray squirrel - first time I've seen one in my yard.